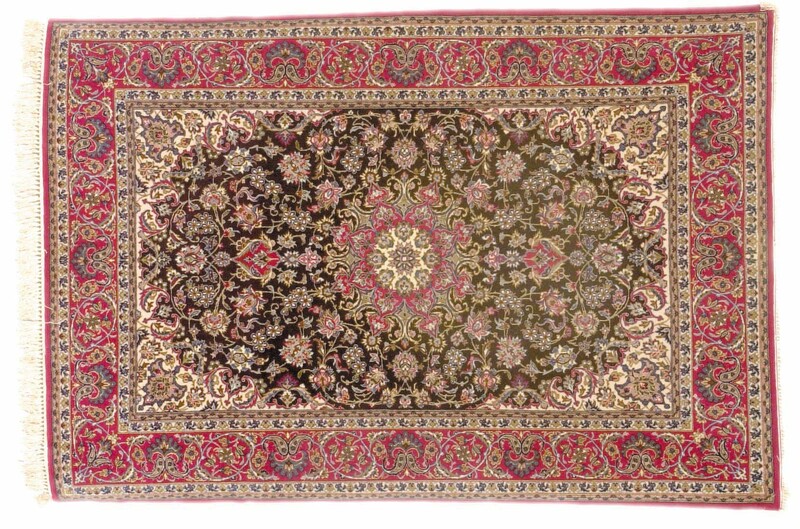 Our Traditional series of rugs feature classic Persian designs, hand made in India from fine wool. The complementary designs and colors make this collection ideal for outfitting an entire home. Each type is available in over ten sizes, from small entry-way rugs and runners to grand room filling rugs. Below is only a small sampling of the rugs we carry. We have thousands of one-of-a-kind rugs in our warehouse. Please call us at 800-409-7847 to request a certain size or if you are looking for something different from the rugs shown below. These rugs are unique to Newton Oriental Rugs and can be found no where else in the world! 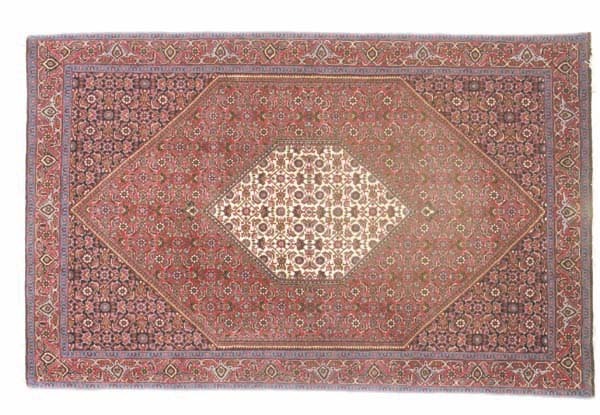 Named for a region in Persia, it features a repeating pattern, uniformly distributed over the rug. Available in Navy and Rust in 12/60 Quality and Navy, Red and Ivory in 10/56 Quality. Featuring New Zealand wool pile. The New Zealand wool is finer, allowing for a higher density knot ratio (12/60), which produces a more luxurious rug. Mahi, or fish, is a reference to the center medallion featured in this design. 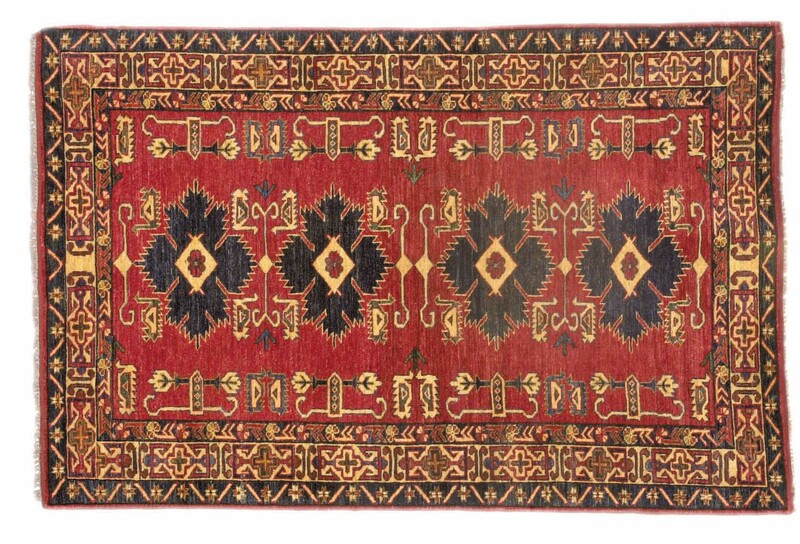 The remainder of the field has a Herete pattern, making it a good complement to other rugs and runners of the Herete design. Available in Navy and Rust in 12/60 Quality and Navy, Red and Ivory in 10/56 Quality. In addition to our own program rugs Newton Oriental Rugs also has a wide selection of one of a kind handmade rugs from all over the world. The following rugs are a mere sampling of what is available to our customers. Please note that the following rugs are used as an example of what we have and are not necessarily rugs in stock. Features a Caucasian design known as a perepedil. Fine wool, hand spun with vegetable dyes. Wool foundation on wool pile. From Pishaur, Pakistan. A famous city found in central Persia. One of the finest rugs woven today. Wool pile on silk foundation. Original design made in Iran. Over 400 knots per square inch. A design from northern Persia. Sometimes known as the "Iron Rug". 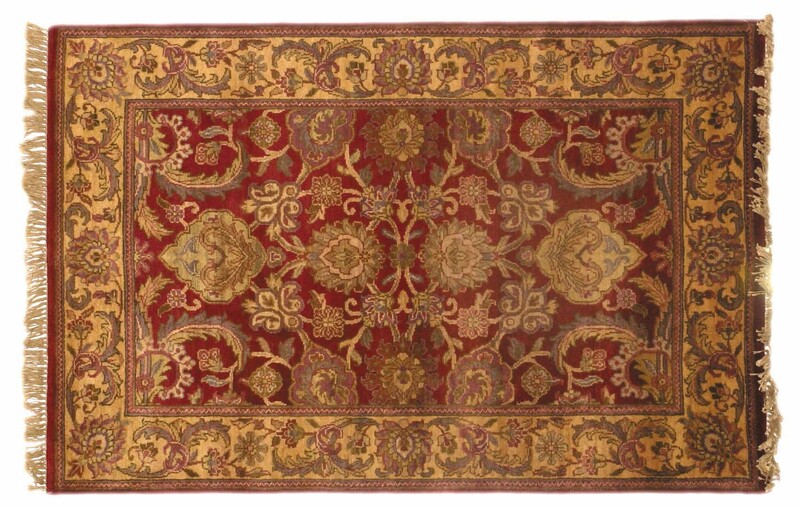 There are hidden rows of knots which give extra solidity and durability to this rug. These designs were created during the Revolution when Iranians fled to China and taught the designs to local weavers. 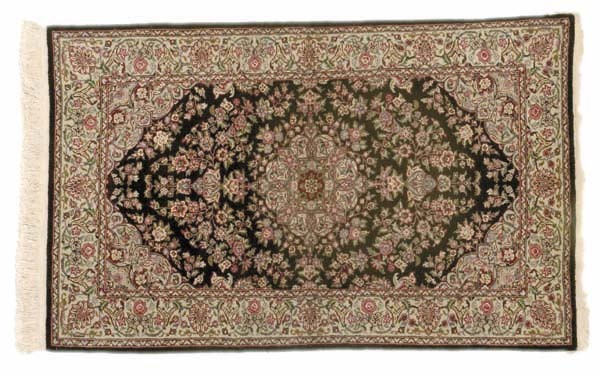 This rug usually comes in 160 line and 230 line with a silk foundation and fine wool and silk pile. Made in China. Made from hand spun wool and vegetable dyes. Made in Pakistan.